Dun Right Q.C. Coatings offers a high heat high luster silver ceramic coating that is capable of withstanding temperatures of 1600 degrees, Cast iron gray that will withstand 1300 degrees, and a black ceramic that will withstand 1800 degrees! In addition they will provide a dramatic reduction in radiated heat while providing excellent chemical and corrosion protection. These ceramic coatings offer excellent thermal barrier characteristics,which means reduced under hood temperatures, accelerated exhaust gas velocity and a longer life expectancy for the entire exhaust system. 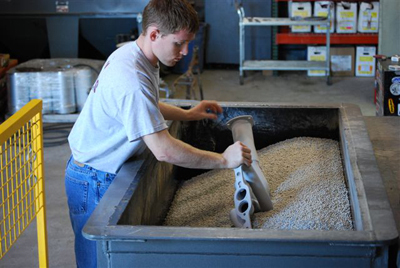 Ceramics, unlike header wraps and traditional heat paint do not hold damaging heat and moisture around the part. Rather, the surface temperatures are reduced extending the life of the part. 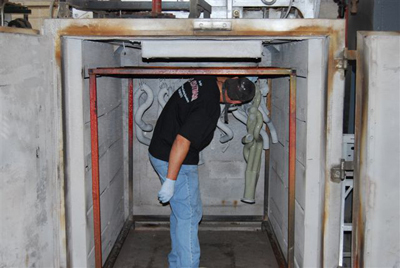 When cured properly a corrosive inhibiting layer is formed that protects the part against oxidation and chemical stresses. 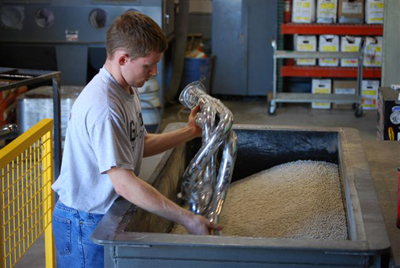 The general preparation for most applications is a degreasing, whether it be thermal and or chemical, sandblasting, cleaning, and finally coating. Our most popular ceramic coatings containing a ceramic reinforcement with finely ground aluminum particles sharing the brilliance of polished aluminum with the durability of nickel! It provides a brilliant appearance in a high temperature coating. Our most extreme high temperature coating. A ceramic reinforced black paint. A matte or flat black appearance with the same heat reducing, chemical resistance as the silver, but in a non flashy almost stealth appearance! Same chemical resistance as black and silver and with our special technique of applying the coating, will reduce under hood temps as well. 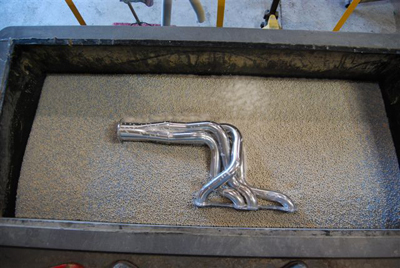 A natural looking cast appearance perfect for the restoration of your factory exhaust manifolds! What can be ceramic coated? Almost anything. 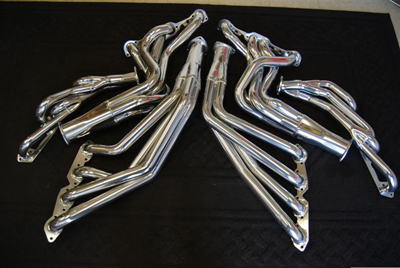 Typical uses are Headers, exhaust systems, Manifolds (exhaust as well as intakes!) valve covers just about anything that can withstand the 600 degree bake temperature.